The Cinnamon Toast Crunch is simply cinnamon and vanilla in the form of a drink. Those two ingredients make a delicious combination, just like the drink’s namesake. 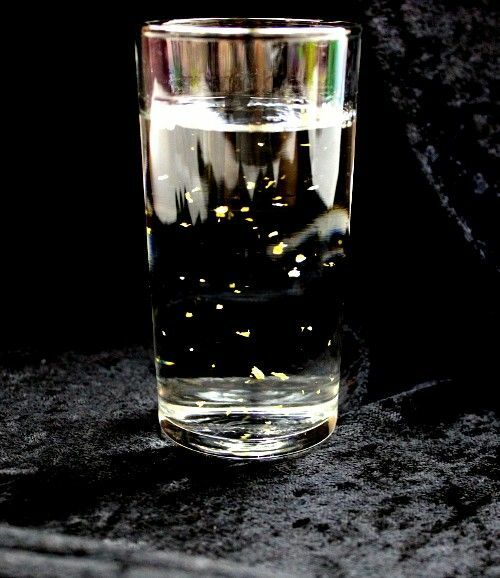 I use Goldschlager for the visual effect of those gold flakes floating around in the drink. But you can use a plain cinnamon schnapps – and if you do, you might want to add crushed ice to make this one more visually interesting since otherwise it’s just clear. But who cares about visuals, right? This drink goes wonderfully with an evening of dancing. Pour the ingredients into a collins glass. Crushed ice is optional.